Call the style what you will - arena rock, stadium rock, concert rock - Journey dominated in the '70s and '80s. 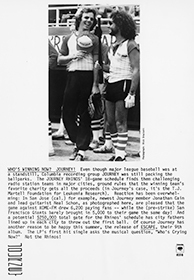 Images from the Jane Scott Papers Collection and the Ira Kaplan Collection of Publicity Materials at the Rock and Roll Hall of Fame Library and Archives. Performed by Journey (Steve Perry, vocals ; Neal Schon, guitar ; Gregg Rolie, keyboards, vocals ; Ross Valory, bass ; Steve Smith, drums). Recorded November 6, 1981 in Houston, TX, for broadcast on MTV. Performers include Journey (Steve Perry, lead vocals ; Neal Schon, lead guitar, vocals ; Jonathan Cain, keyboards, vocals ; Ross Valory, bass, vocals ; Steve Smith, drums). A brief review of a compilation album dedicated to rockers with mullet hairstyles. The author gives a nod to Steve Perry's coif, and Journey's "Any Way You Want It" is featured on the compilation. 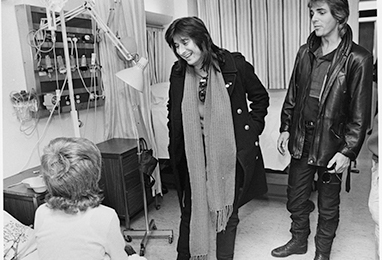 The chapter on Journey discusses the band's history and discography. 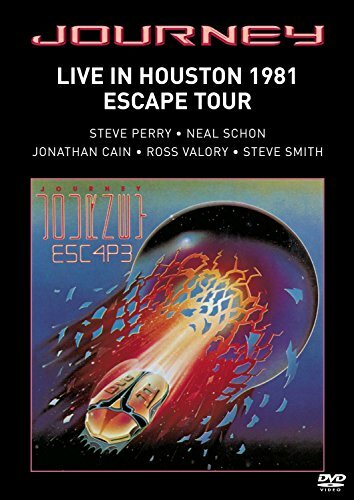 Includes a chapter on Neal Schon of Journey and his recording techniques. For voice and piano; chord symbols and guitar chord diagrams included. Cover title. 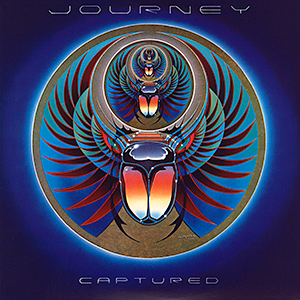 Songs as recorded by Journey from the album of the same title. Words and music by S. Perry and N. Schon except where noted. Rock critic for the Plain Dealer, 1952-2002. 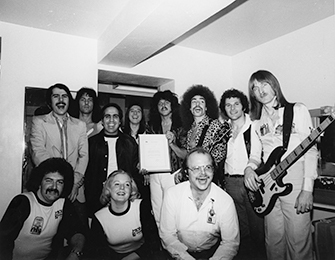 This collection specifically includes materials related to Journey including photographic and promotional materials. This collection includes a folder of business papers for Journey from 1977. 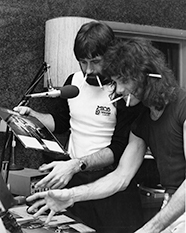 It also includes a recorded interview with Journey on audiocassette, and an audio recording of Journey's appearance on the radio show "Rockline" in 1986. From the Bryan Ehlinger Collection of Posters. Journey concert program from the Churchmouse/Moyssi Concert Program Collection. Photographs from the Philadelphia Inquirer Photograph Collection.